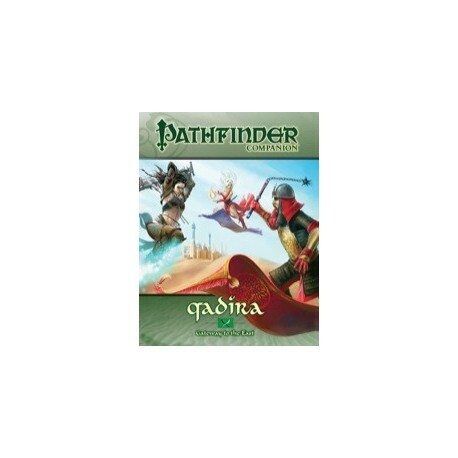 Ce nouvel atlas pour le jeu de rôle Pathfinder vous permettra de découvrir les terres orientales de Qadira. 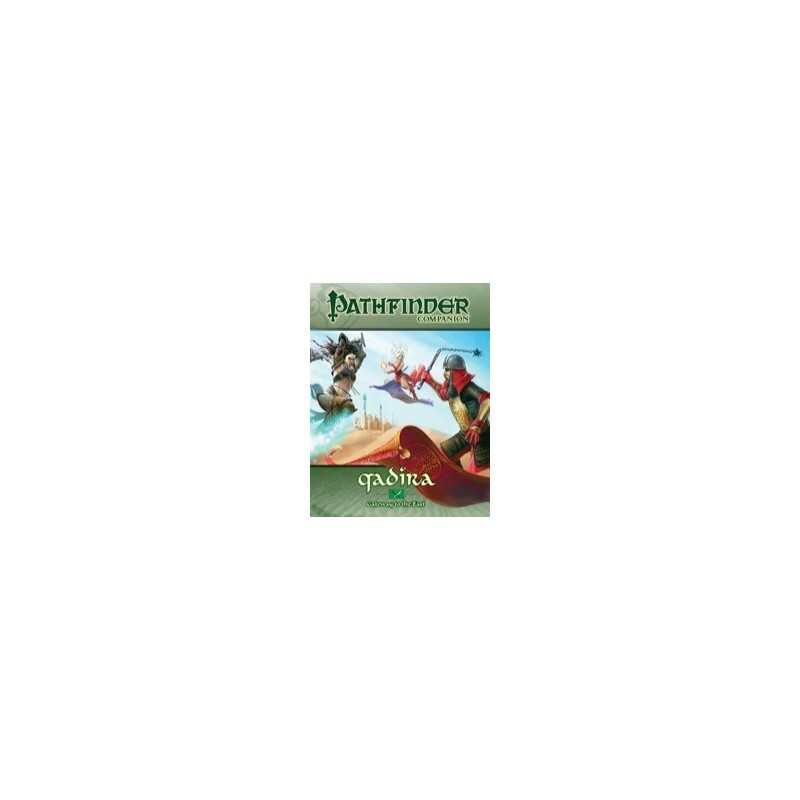 livre édité chez Paizo, en anglais. A hot-blooded realm of riches, slavery, and blood feuds, the desert nation of Qadira looks down upon foreigners, for all other lands are glass when compared with Qadira's diamonds. Ogre mercenaries and soldiers on flying carpets keep caravans safe from bandits and strange beasts. Bound genies build majestic palaces or guard pompous wizards, while tribes of jann roam the deserts hoping to free all geniekind. Militant factions of Sarenrae's faith rattle their sabers and train dervishes, while mages and scholars from across the world line up to attend Qadira's prestigious academies. And through it all, the war-mongering satrap turns his ambitious eye toward Taldor and the lands to the west, ready to break the centuries-long peace if only the padishah emperor would give him permission. 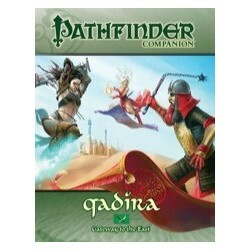 This Pathfinder Companion describes the country of Qadira and its capital of Katheer, the city of a million caravans. Study the secrets of the daivrat, humans honored with the trust of wise and deadly genies! Learn how to tell a half-genie from a thin-blooded suli-jann! Unlock Qadiran secrets with new feats and traits! Everything you need to know to play a Qadiran character-or defend yourself against one-is right here!